It’s no secret that, when it comes to engaging online content, video is king. In today’s on-the-go society, everyone expects on-demand content — content they can view and share anytime, anywhere. 59% of senior executives say that if text and videos are on the same page, they prefer the video. One-third of the time spent online is watching videos. If you still have doubts about whether it’s really worth using video to promote your business and personal brand, the answer is simple: Yes. 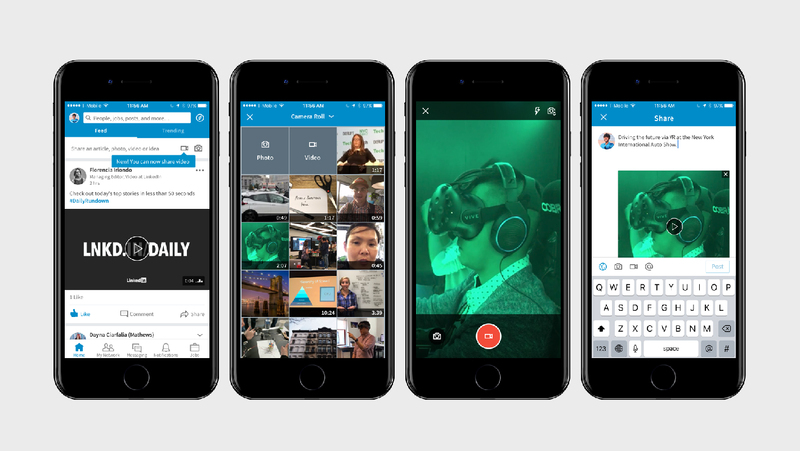 Video is already the most versatile and profitable digital marketing tool out there, and LinkedIn has recently introduced new features and capabilities that let you use video more effectively than ever before. For a quick glimpse into what video can bring to your online presence, check out how these five LinkedIn Influencers are using video to expand their audiences, educate followers, sell services, and grow their brands. Sallie Krawcheck is a powerhouse in the world of finance, and her perfect blend of shared media on LinkedIn is meant to make other women believe they can reach their professional goals as well. Created to connect and empower women, Sallie’s videos range from inspiring company ads to casual chats about women and money to Ellevest’s new weekly digital series MAKERS Money. As much as today’s consumers want on-demand content, they also want that content to be short and easy to digest. On J.T. O’Donnell’s LinkedIn page, she’s taken the idea of quick content and created a series of video tips covering every aspect of job searching, from “8 Smart Questions to Ask Hiring Managers” to “2 Things Recruiters Hate to Read on Cover Letters.” She links to her YouTube channel that has well over 300 videos and nearly 50,000 subscribers. As an author, blogger, and podcaster focused on the topic of happiness and habits, Gretchen Rubin has created her own personal brand from scratch. She stays relevant and visible by posting and sharing daily, and she’s now using LinkedIn video as a selling tool to promote her new online education courses and virtual lessons. In her profile, Shrada Sharma states her belief that stories have the power to transform, connect, and inspire people all over the world. On her flagship website, YourStory.com, Sharma has featured more than 20,000 stories of entrepreneurs, and she’s now taking that content to LinkedIn. By re-sharing existing interviews and profiles, all via video, Sharma is making the most of every piece of digital content she produces, and consistently driving people back to her website. When promoting your personal brand, there’s a lot to be said for face time. Nicholas Thompson of Wired magazine does this simply and consistently, posting videos of himself sharing his thoughts on “the most interesting thing in tech” for that day. He keeps it short (all of his videos are less than three minutes long); he weighs in on timely, trending topics; and he posts frequently, keeping his face and his brand popping up on his followers’ LinkedIn feeds. 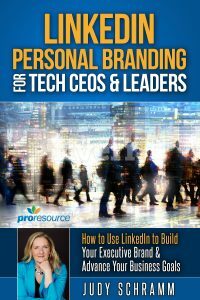 Would you like to make video a part of your LinkedIn presence? We are developing video coaching and online training programs designed specifically for executives who want to use video on LinkedIn. Would you like to be one of our beta testers? 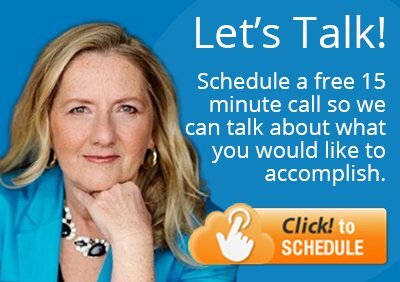 Contact Judy at judy@proresource.com.